In years past, the golden words "back to school" made any retailer selling school supplies, electronics, clothing or sports gear giddy with excitement at the prospect of hitting those summer revenue targets. There were no other options for parents other than to drive from one retail outlet or department store to another, checking items off the list one by one. In the retail glory days, back to school shopping promised local retailers big bucks, with parents spending at least $100 per child in 2014. Offer discounts to members of the local schools on certain products and promote them on Facebook and Instagram. To reach parents, run Facebook ads promoting your local school discounts targeting the demographics of parents over 30 years old and local zip codes. 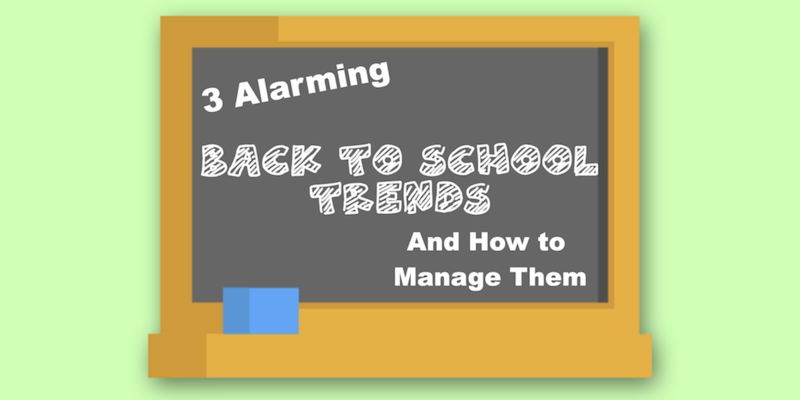 To reach kids, use Google Trends to learn the hottest back to school styles and products this season and promote the ones you have on Instagram. Use Snap to do short walk throughs of your store highlighting products you have that differentiate you from big stores like Target and Walmart. Run Facebook ads targeting the demographics of kids under age 18, local zip codes, and interests of large groups of kids like football, basketball, cheerleading and band. 27% of parents planned to start shopping a full two months before the start of school this year, compared with just 15% in 2007. If retail businesses didn't start back to school promotions extra early this year (at the very start of summer in many cases), then they may be faced with even more excess inventory and less back to school revenue than in years past. It doesn't take a math degree to predict that many small businesses and retail outlets will be on damage control after the back to school bash wraps up. If your retail store is forced to stock up on hot items and top sellers (and have multiple sizes, colors, shapes, and price points available to shoppers), then you're likely also left with excess inventory that didn't sell during the rush. And if the products still don't move during sale events or clearances, your retail store could stand to lose out on more than inventory. If you're like most retailers, you'll wait a couple of weeks after the back to school rush is over, hoping a few of those last minute shoppers (5% of the population to be exact) will buy some of your excess inventory. But, it's inevitable that you'll eventually list all of those precious items on clearance, hoping to at least break even. And after a few more weeks, you'll eventually donate those items to a charity or maybe—more fittingly—to classrooms in need. But it doesn't have to be that way. You don't have to throw away your inventory or write it off as a lost cause. In fact, what if you never had to take a net loss on underperforming inventory? The BoxFox marketplace provides retailers a better way to sell underperforming merchandise and get cash to reinvest in top performers. Our technology solution connects retailers with thousands of buyers and generates new demand for their products. You'll initially sell the inventory for a loss on your cost, but after the first turn of the new merchandise you buy with the cash, you'll realize a net profit. You can calculate the profit potential of your aged inventory here. Retail buyers can now purchase with greater confidence knowing they have a solution for aged inventory.